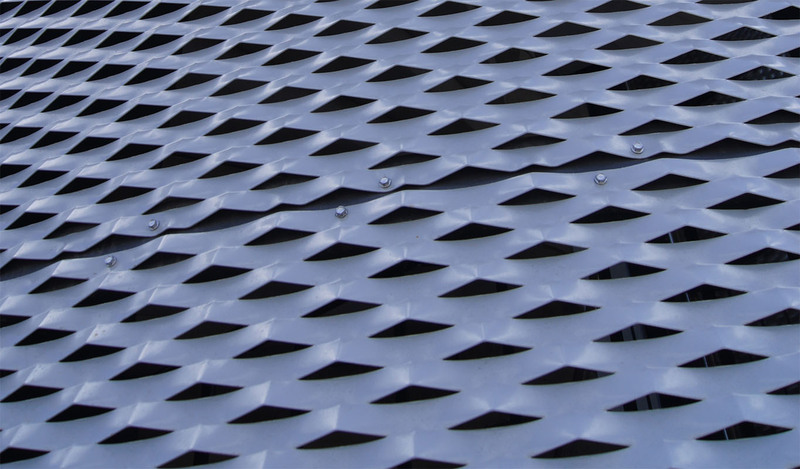 Expanded metal sheets are a strong and multifunctional product with a variety of characteristics that make it versatile and suitable for many applications and solutions in construction and industry. The manufacturing includes a wide range of products from fine mesh filter sheets to heavy meshes for walkways platforms. Expanded metal sheets can also be used in solar shades, fences, handrails and room dividers, for example. In architectural applications, mesh sheets are used to create interesting and impressive facade and ceiling solutions, utilizing their protective yet transparent surface that can be treated further by painting and anodizing, for example.